After a good, relaxing night in every girl needs a night out. 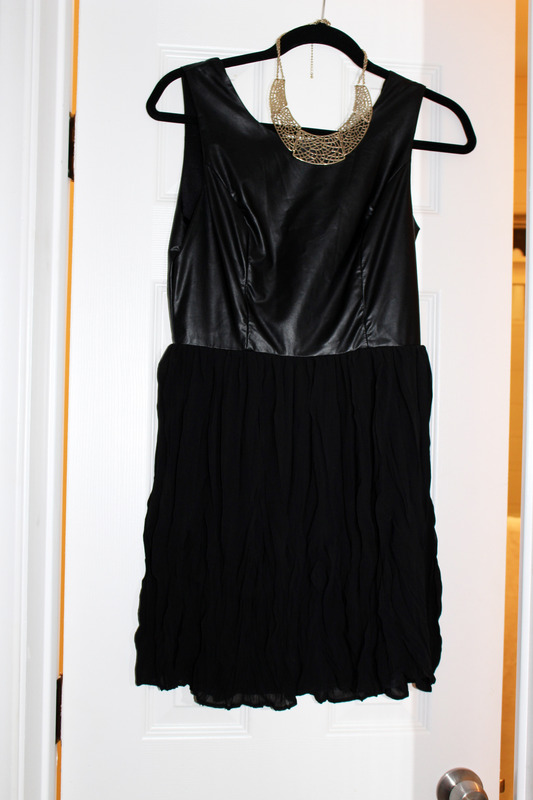 I found this dress at Keene today, it’s edgy with a pleather top and yet delicate with a flowy bottom. 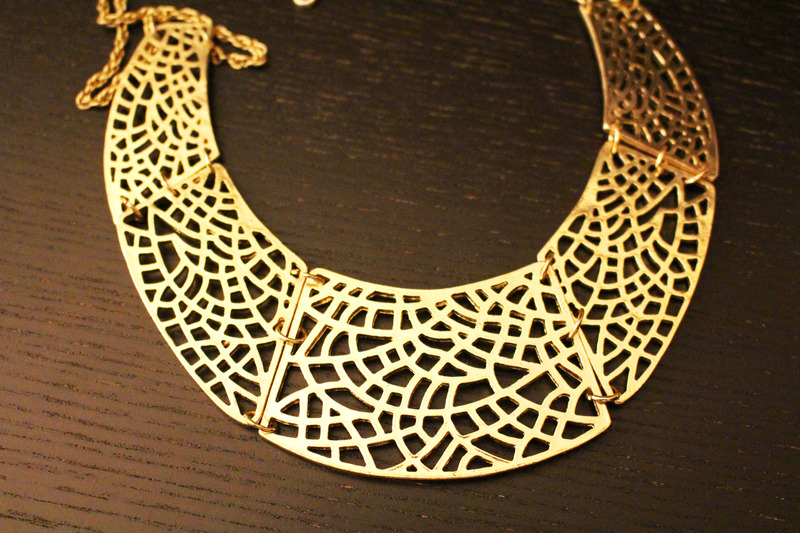 I immediately thought of a statement necklace from Bebe, which I’ve had for a few years now. The whole look is simple, yet intriguing. I love that it’s conservative enough to wear to a formal event and edgy enough to wear out to a club. This dress is certainly my new Little Black Dress for 2014! Excited to wear it a couple different ways.